To cook a vegan breakfast, lunch or dinner tasty and fast? Easy! With “Rainbow Vegan Recipe Cookbook” you can prepare delicious and varied dishes without much effort! Why is this book so popular with vegans? The answer is simple! - Vegan food should be well balanced and varied. In the cookbook you will find more than 90 vegan recipes of cereals, salads, soups, main dishes, desserts, sauces and appetizers for vegans. - Rainbow vegan dishes will not be turned down even by convinced meat eaters. Thanks to the beautiful illustrations and clear preparation instructions this book will be easy and pleasant for any cook. - If you want to look young and slim, be healthy and attractive, you need to include the best vegan recipes in your food system. 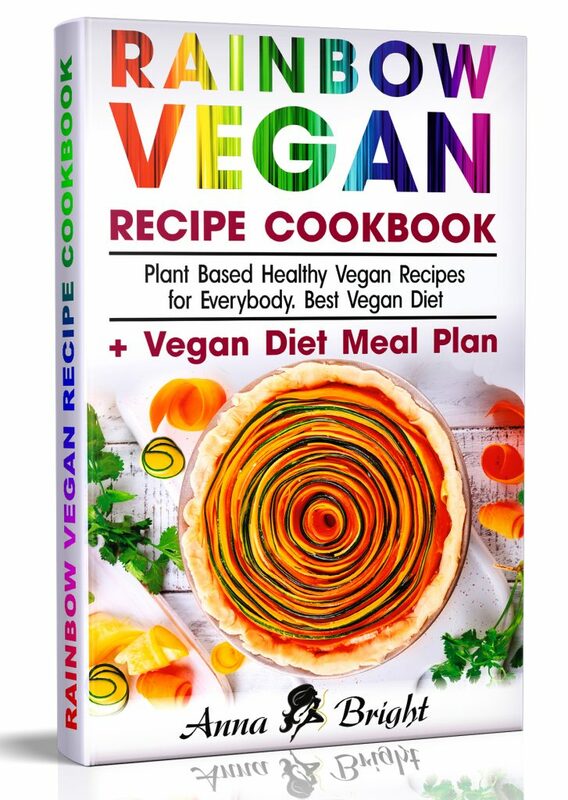 In our book you will find information about the benefits of veganism, the frequent mistakes of the beginners, as well as delicious, and, most importantly, effective simple vegan recipes that will help you to be slim, young, and healthy! - Our vegan cookbook is for everyone! Healthy vegetable recipes are built in such a way that both beginners and experienced vegans will be satisfied and well fed. Our motto: Vegan for Everybody! And you will get a 7-day diet plan for vegans for weight loss, cleansing and a healthy life!